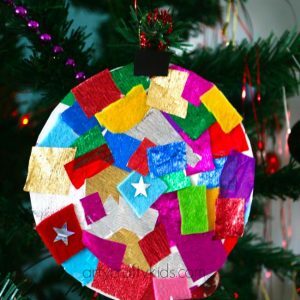 This year, my kids are totally into making their own Christmas decorations, which means everything is shiny, sparkly and very colourful! 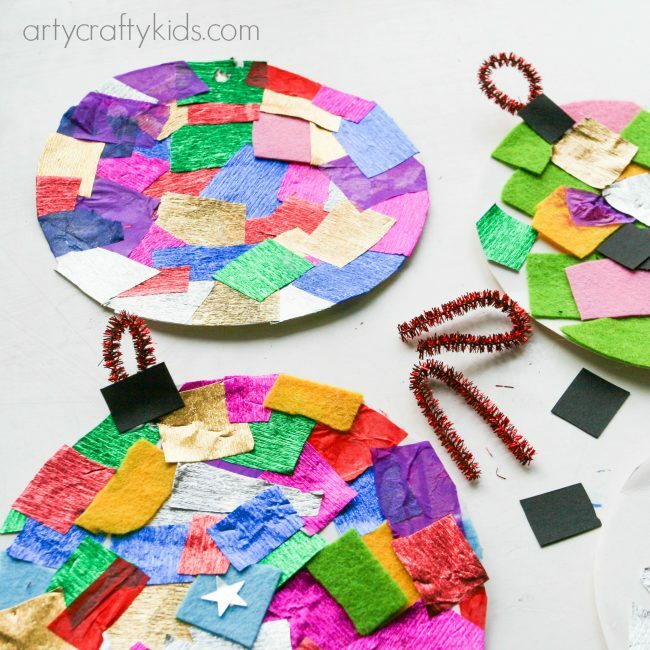 Inspired by several readings of Elmer’s Christmas, the kids put together these gorgeous paper plate baubles – as you can see they’re multi-coloured, just like Elmer’s colourful patchwork body. 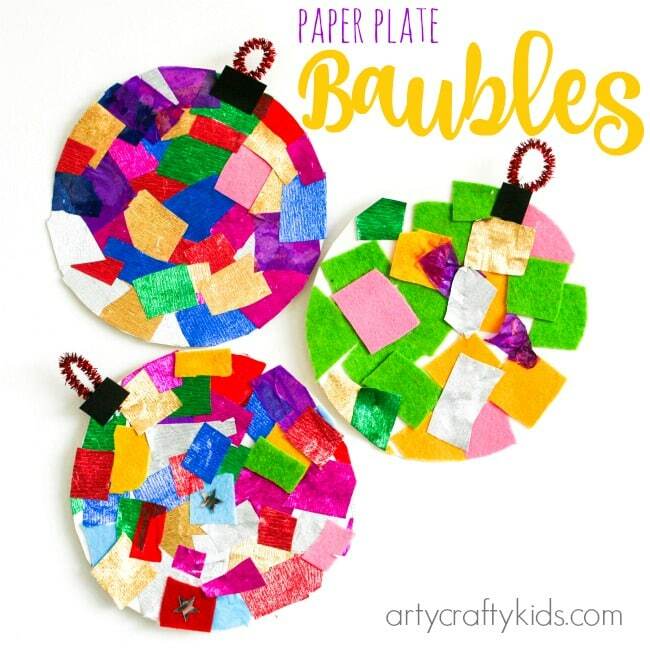 The baubles are super easy to make and a perfect activity for multiple children of different ages. 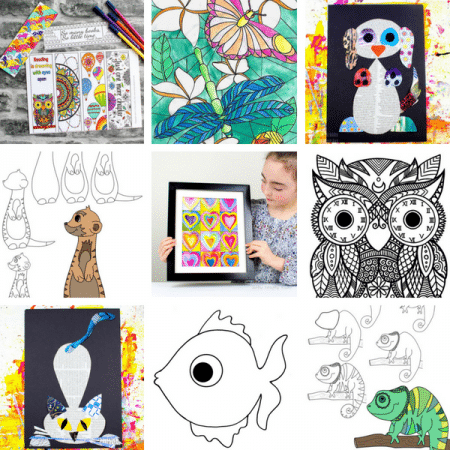 My girls immersed themselves into every element; cutting, sticking, making patterns and most importantly, they had an amazing time getting creative together. To get started, simply set the kids up with paper plates, a selection of colourful paper and glue. It might be an idea to remove the rims off the paper plates before the kiddies start sticking. As you can see, we didn’t and it would have been much easier if we had! Pierce a small hole into the collaged paper plate, attach a pipe cleaner and secure to create a loop for hanging on the tree. Cover the hole with a little black square. And that’s it! 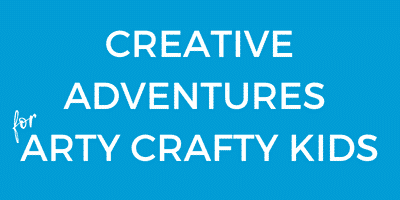 Kids’ craft doesn’t get easier than that and from my perspective, there’s nothing better than giving the kids the opportunity to take the lead and let their imaginations flow. 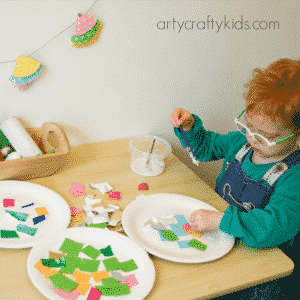 Can you believe, this particular craft was initiated by 2 year old Cakes!?! 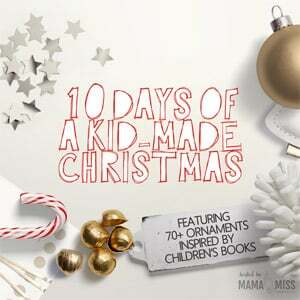 I had no idea what she was up to until her big sister got involved with the cutting and sticking, making their paper plate baubles the perfect craft to include in the 10 Days of Kid-Made Christmas hosted by the wonderful Mama-Miss. 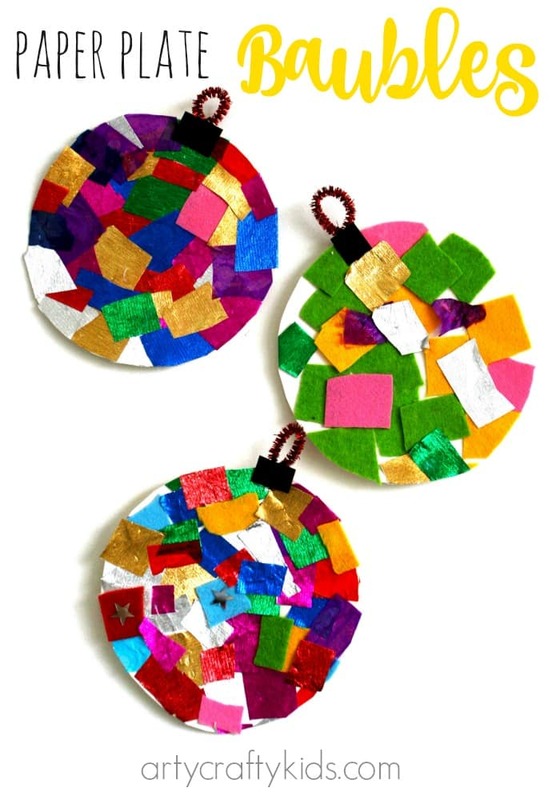 For more simple crafty Christmas ideas, take a look at our Toddler Christmas Trees and Christmas Doodle Art!